Raise your hand if a delicious meatball recipe takes you back to your childhood? I vividly remember my mom teaching me how to make meatballs. Today I’m going to teach you how to make the most juicy, delicious, pineapple turkey teriyaki meatballs you’ve ever had! The best part is: they’re so quick and easy to make! 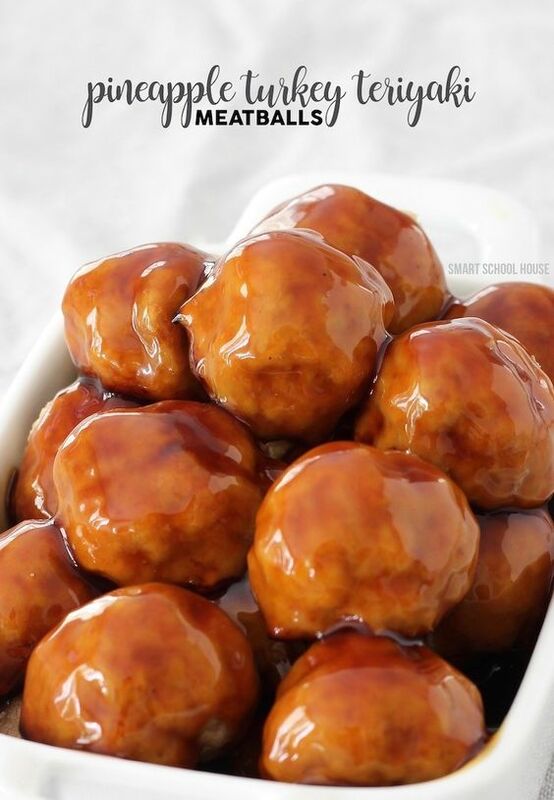 There are two parts to this quick recipe: baking the meatballs and preparing the thick and tasty teriyaki sauce to coat the meatballs in. 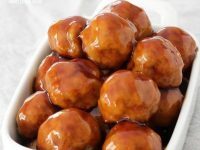 A 30 minute freezer meal recipe for delicious and EXTRA juicy meatballs with an irresistible teriyaki glaze sauce. In a small mixing bowl, combine the panko breadcrumbs, milk, and crushed up pineapple. Be sure to add a little bit of the pineapple juice too! Set aside. In a large mixing bowl, combine the egg, salt, and ground turkey. Mix it all together with your clean hands. Add the small bowl of breadcrumbs, pineapple, and milk into the large bowl of ground turkey. Mix until all of the ingredients are fully combined. Prepare a baking sheet with foil and a generous coat of non-stick spray. Make small meatballs (about 1.5 inches in diameter or so) and place them on the baking sheet at least 1 inch apart. Bake for 20 minutes and begin preparing the teriyaki glaze. Put 1/2 cup of of Kikkoman Teriyaki Marinade & Sauce into a measuring cup. Add the sugar and mix it up until the sugar is dissolved. Add a little bit of water until the mixture measures 2/3 of a cup. When the meatballs are almost done, prepare a small frying pan with a generous coat of non-stick spray over medium heat. Add the ingredients from the measuring cup into the pan and whisk constantly until it comes to a boil. Once bubbling, remove it from the heat. 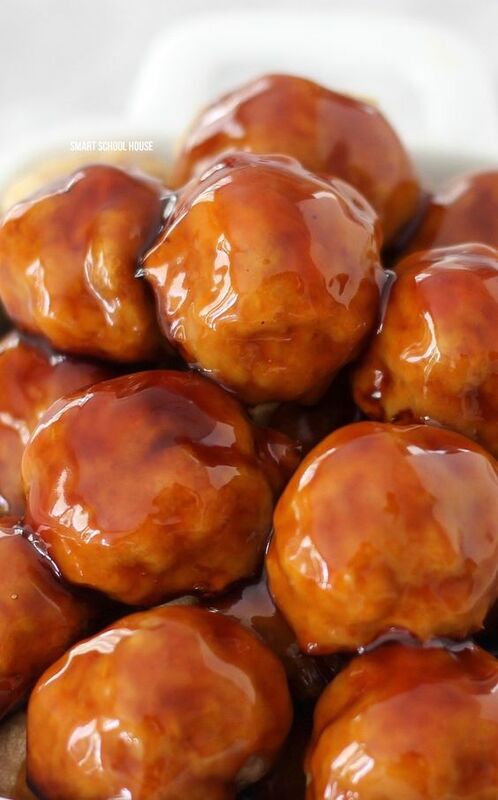 Pour the tasty teriyaki glaze over the meatballs. Serve with brown rice, fried rice, veggies, or whatever else you love! I use teriyaki sauce in my shrimp stir fry recipe as well as a marinade for chicken. I use teriyaki sauce on my white rice when I make stir fry. I use teriyaki in my Beef Teriyaki Noodles recipe. It is so delicious!